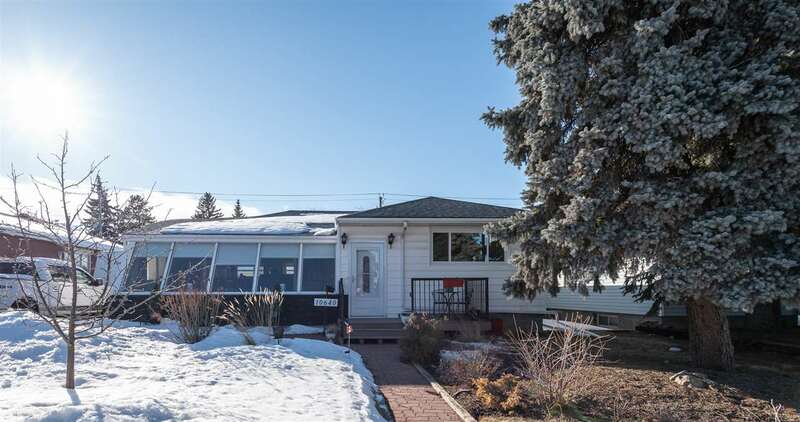 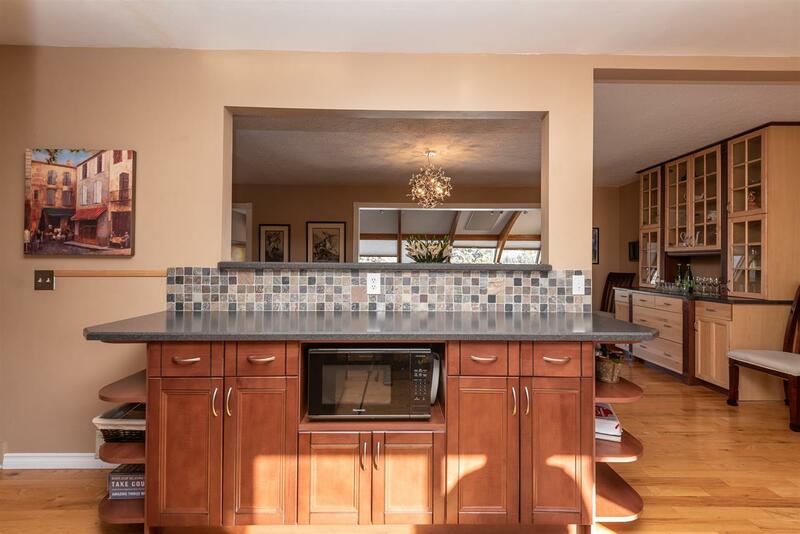 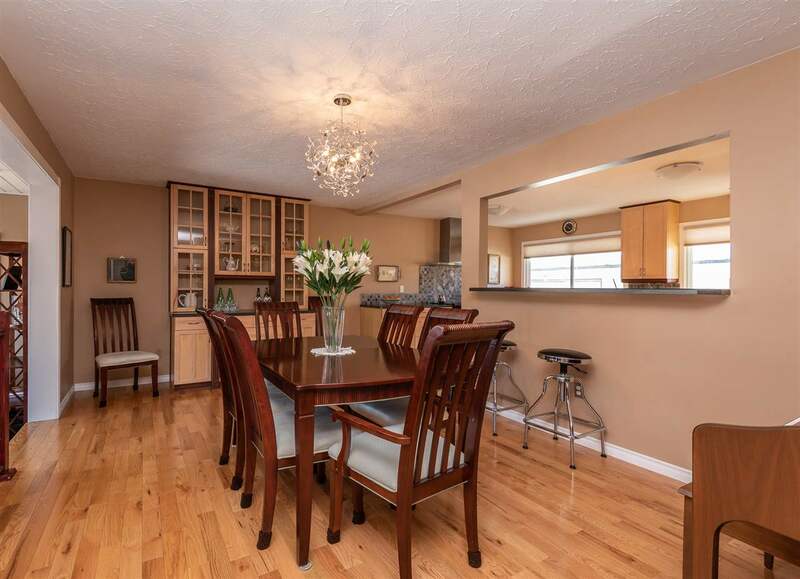 Huge Capilano 4 bedroom bungalow located on a quiet street across from a treed park! 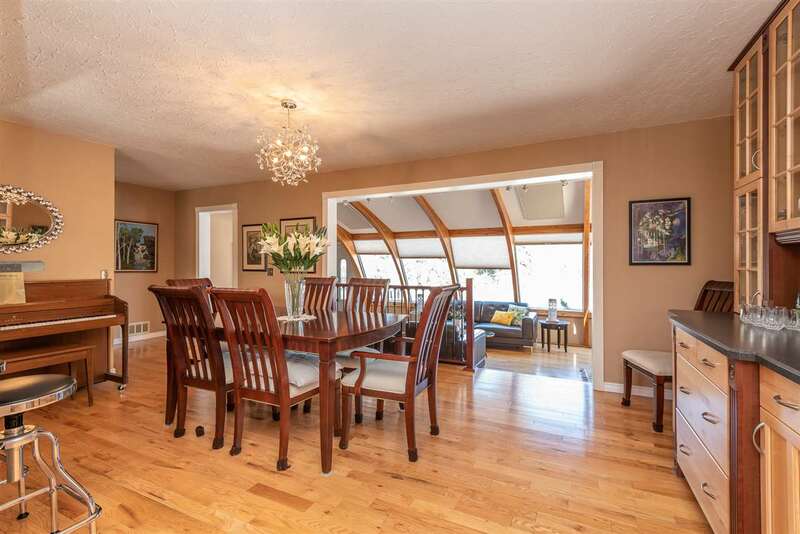 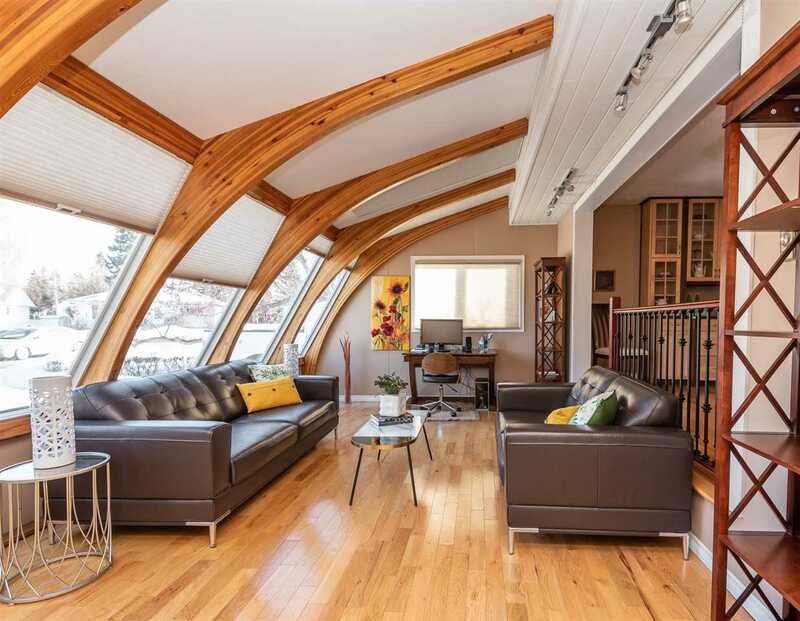 Enjoy the green space view from the open beam sunroom with floor to ceiling windows. 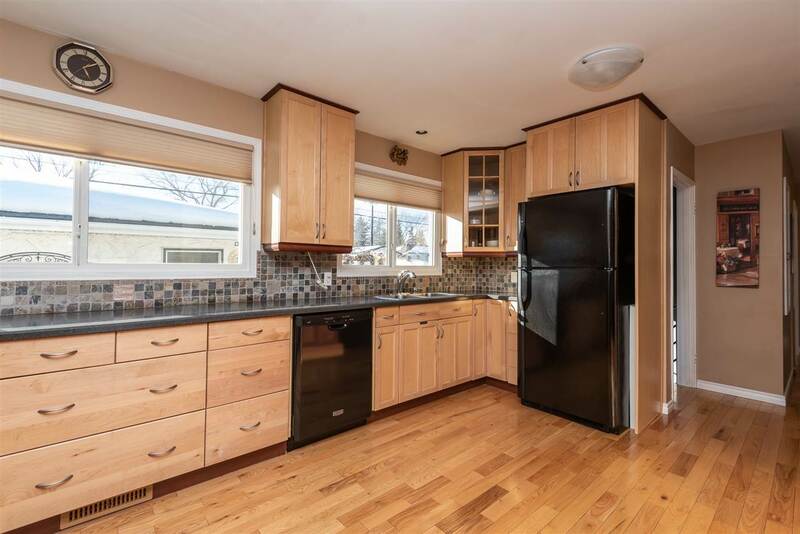 The upgraded kitchen is wide open to the dining room and sunroom. 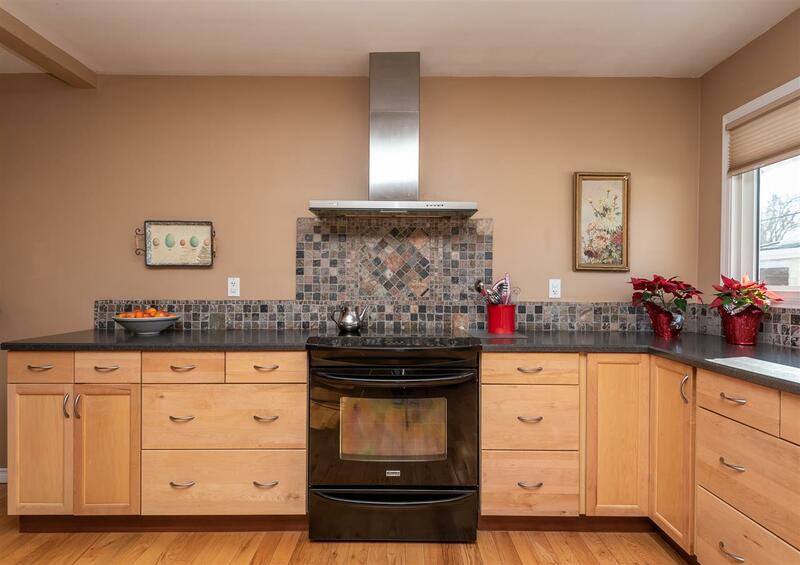 The kitchen comes with custom cabinets, backsplash a dining room large enough for every family get together. 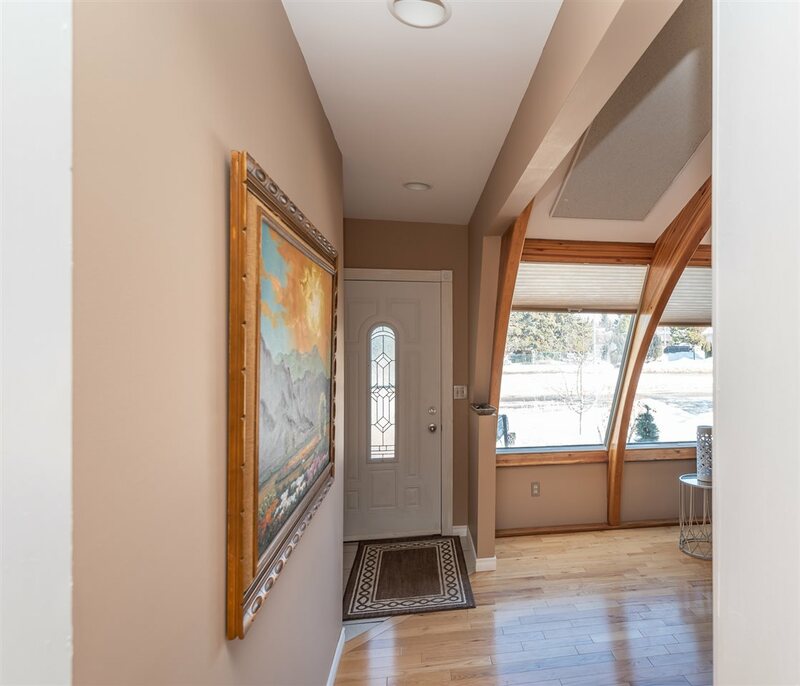 The main level features all new vinyl windows and gleaming hardwood floors. 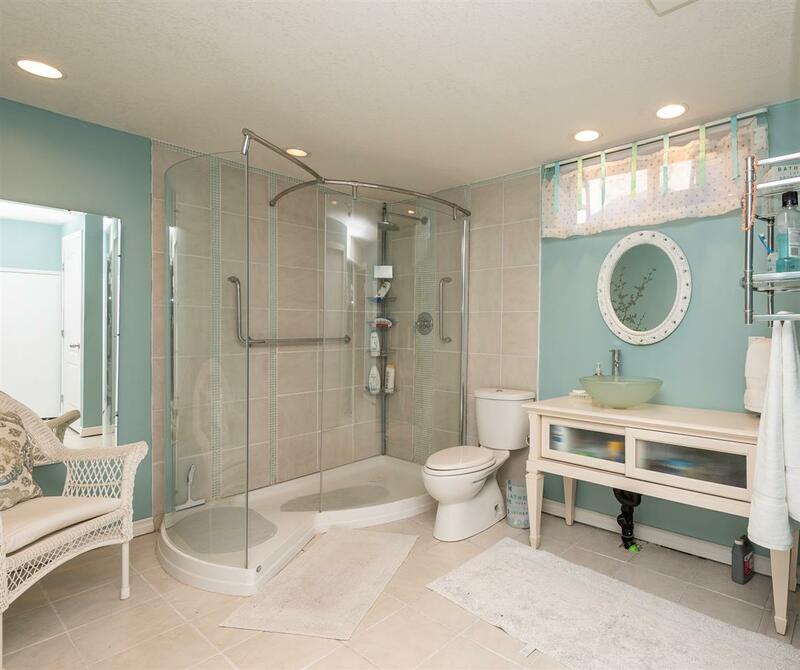 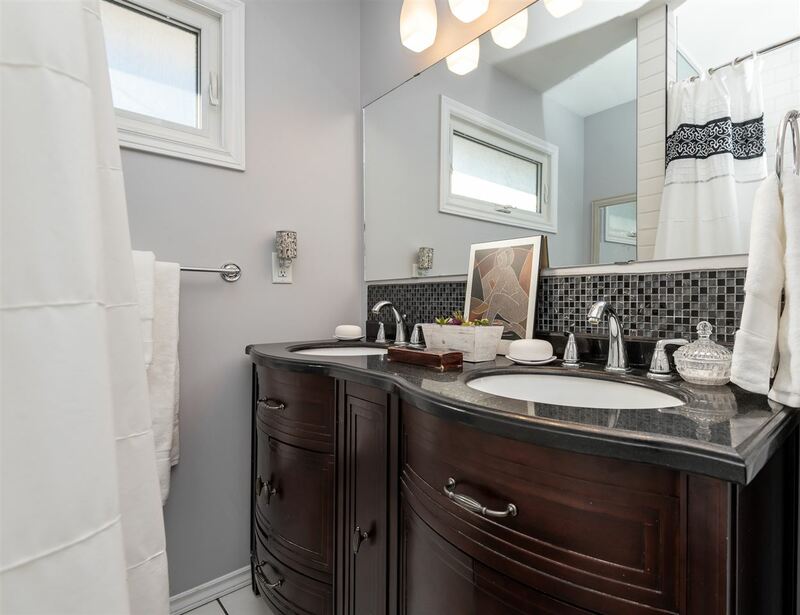 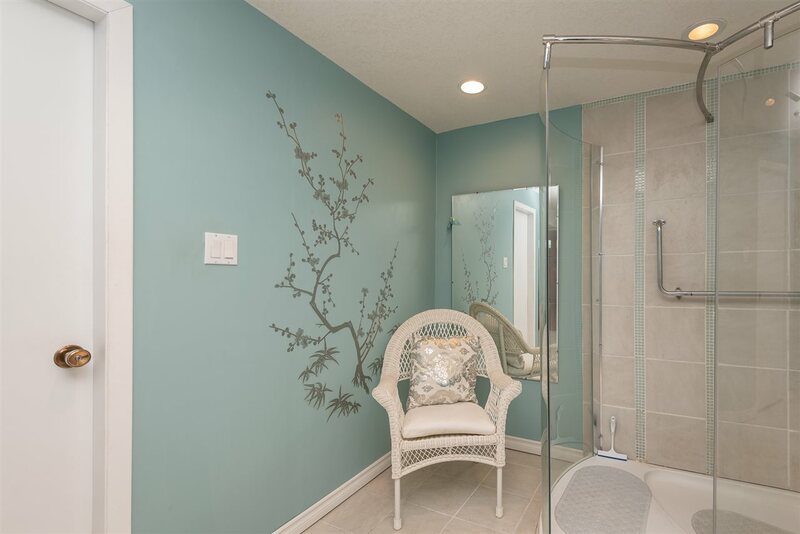 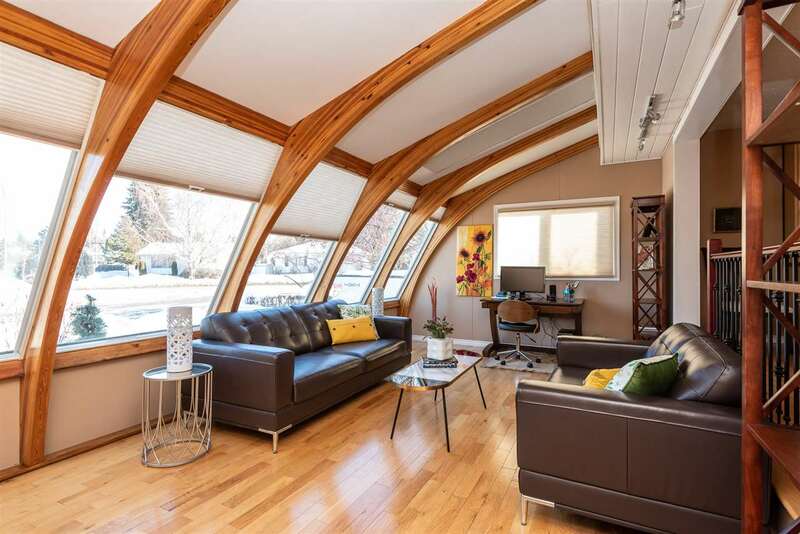 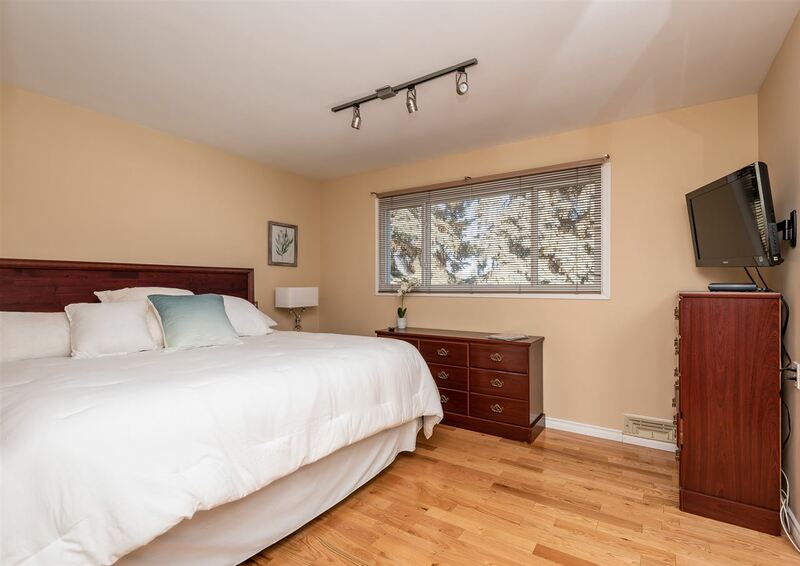 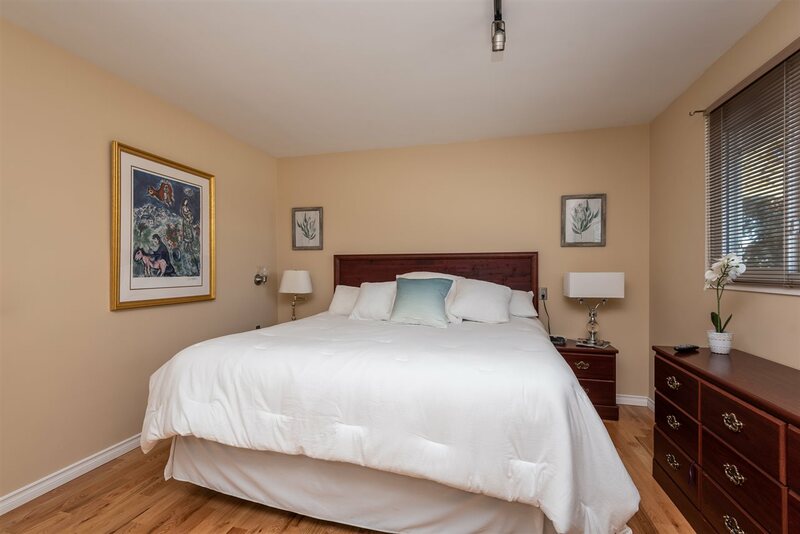 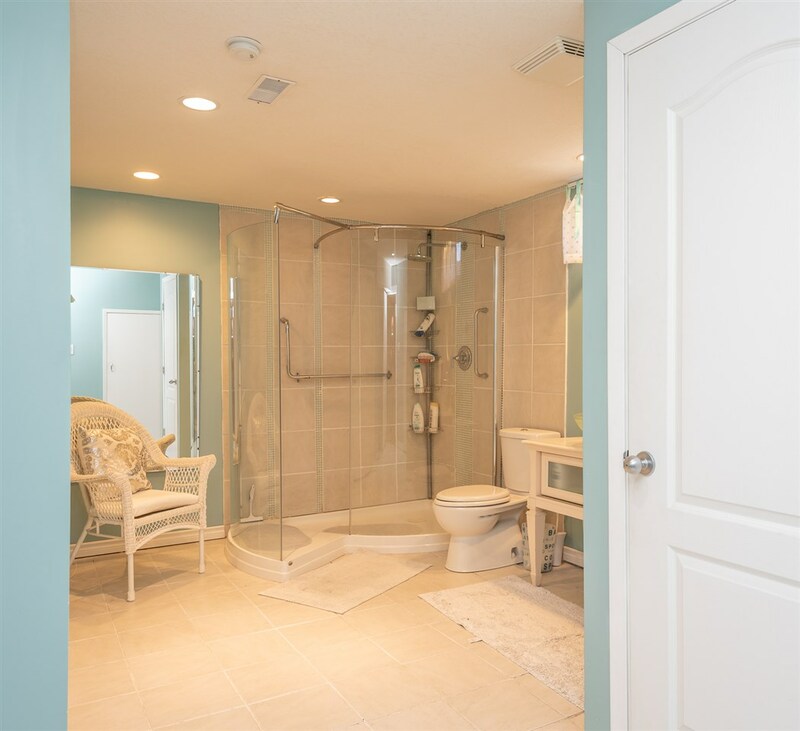 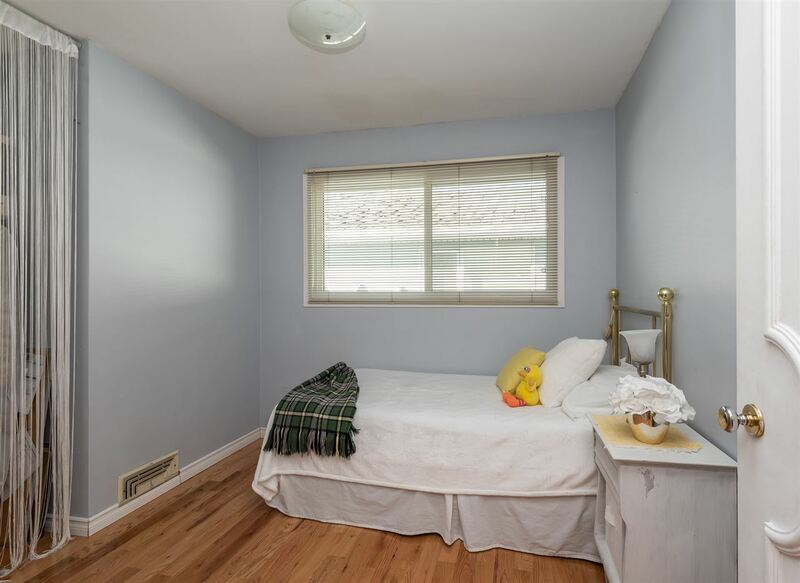 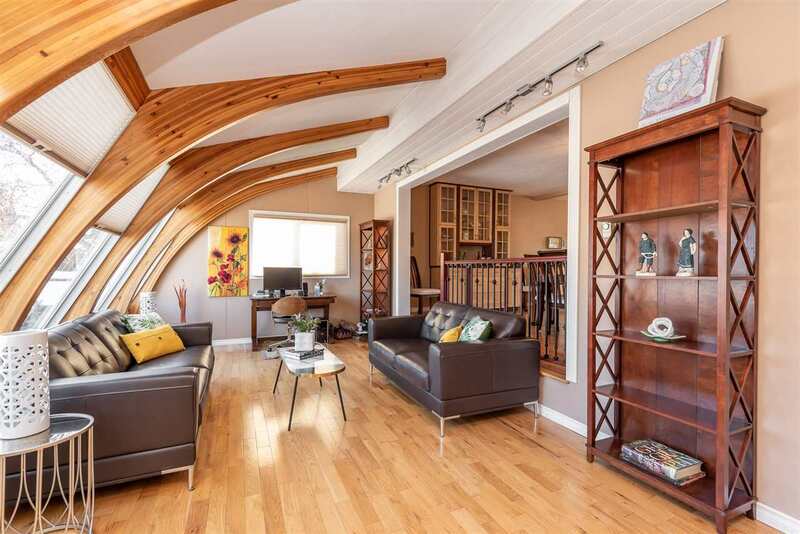 Lower level comes with a family room, bedroom and new laminate flooring, fresh paint and fabulous upgraded bath with custom snail shaped shower. 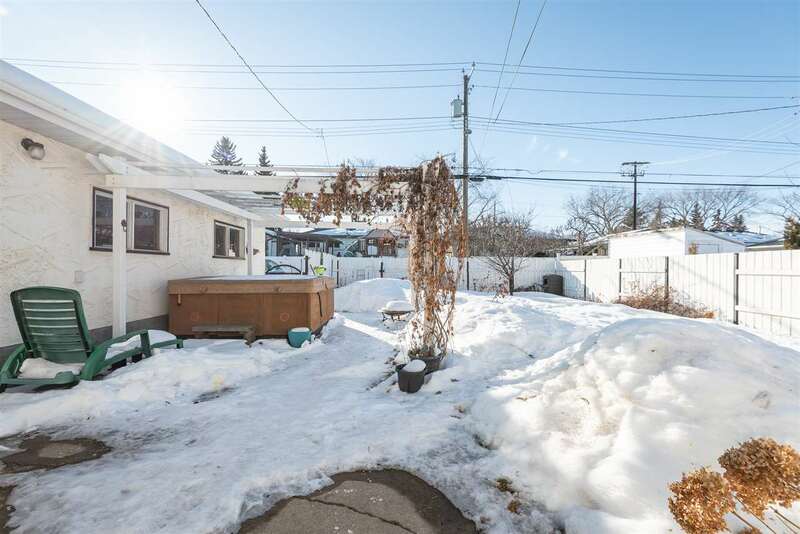 Secluded fenced backyard with Hot tub and plenty of room for gardening. 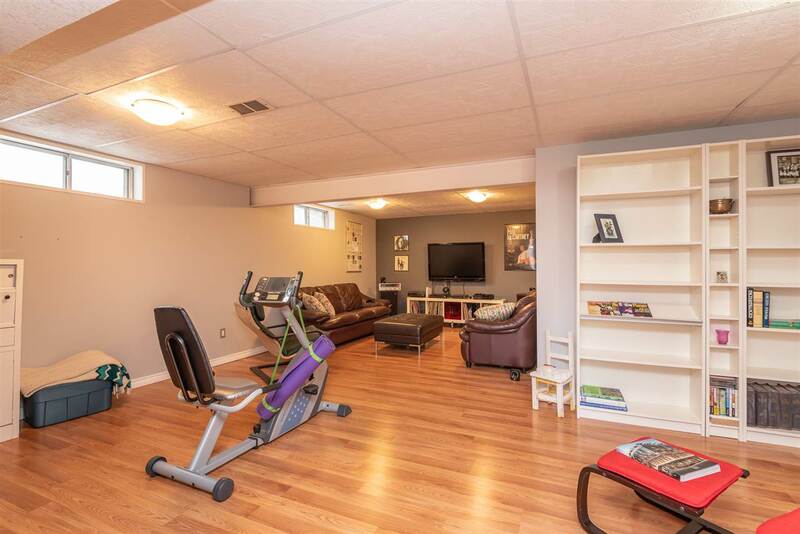 The Oversized Garage includes front & rear drive entrances. 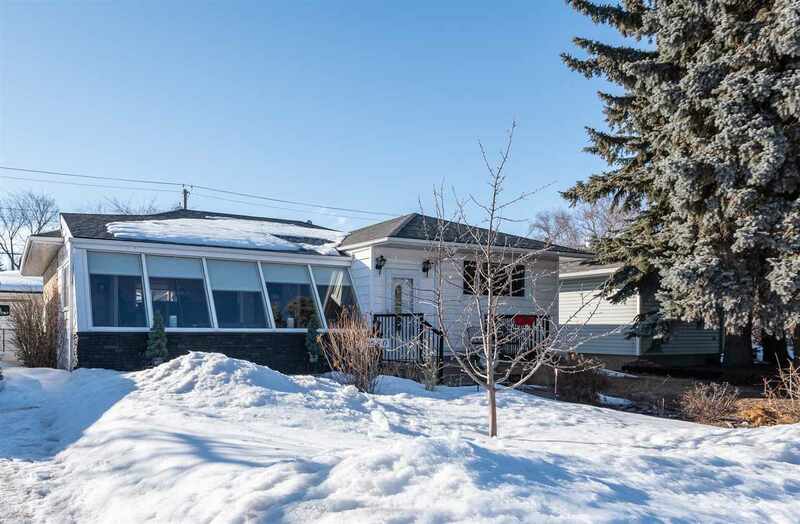 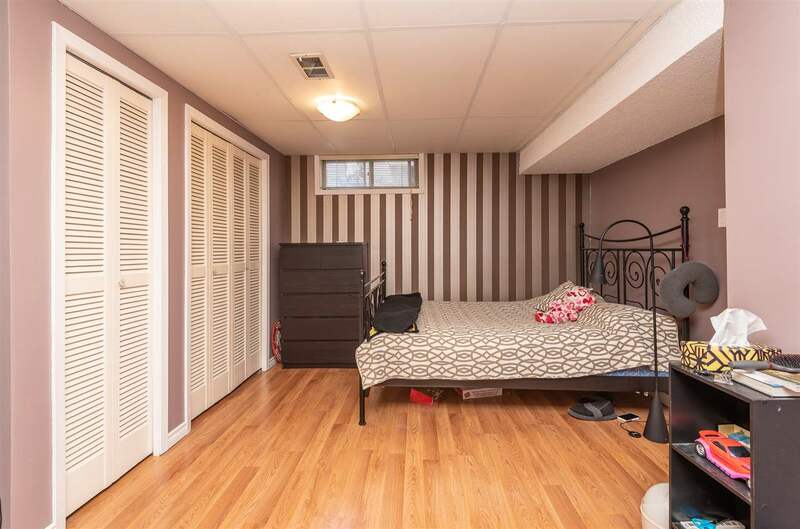 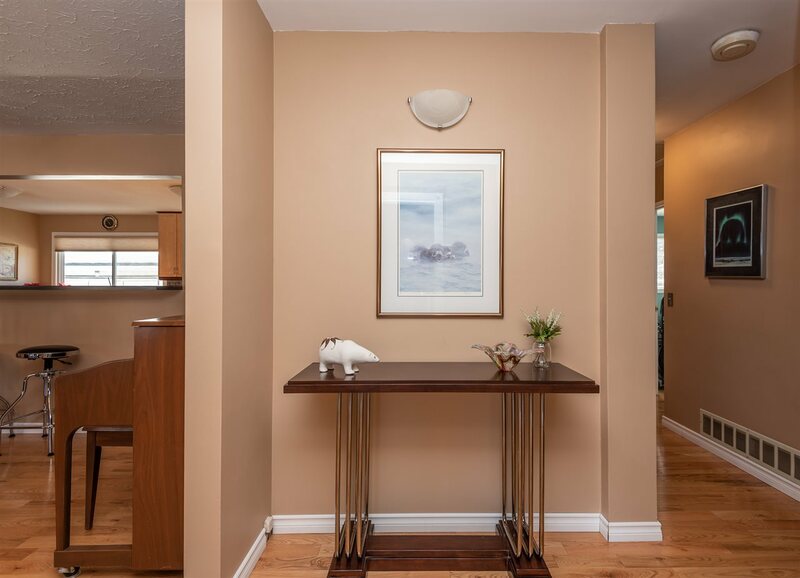 Minutes to downtown, Capilano Mall and the river valley trail system! 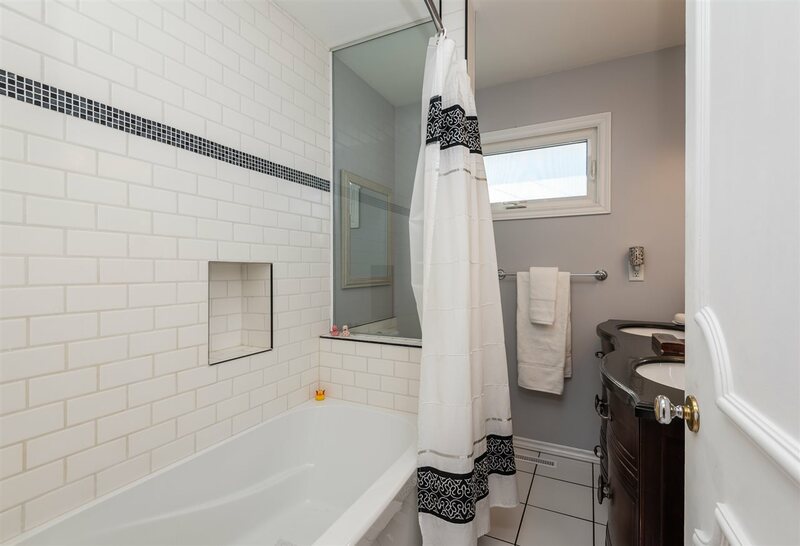 This property is listed by Marty Smayda of RE/MAX Elite and provided here courtesy of Marty Smayda. 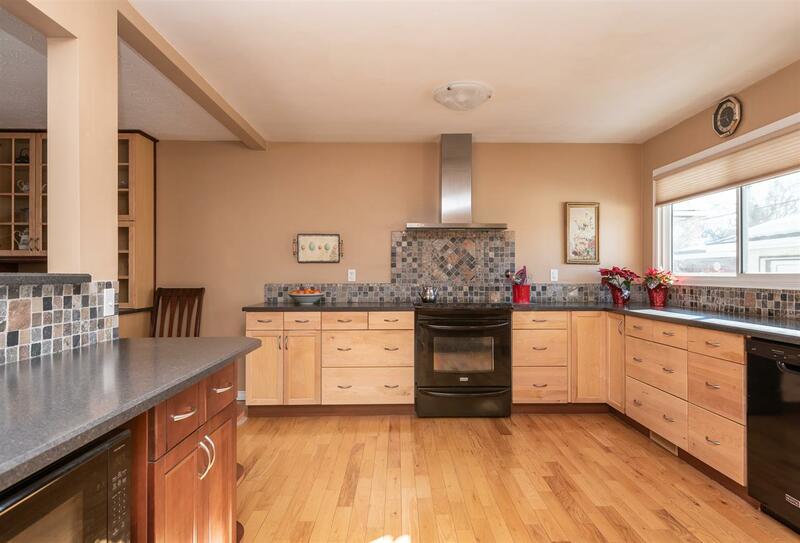 For more information or to schedule a viewing please contact Marty Smayda.